We have said this before: You guys are the best. So very talented and warped and idle in ways we can't even imagine. Yesterday we showed you a wonderful photo of College Gameday's Lee Corso riding a large inflatable duck, and told you to have fun with it. You did, and these are some of our favorites. This one is from Andrew. It's not the winner, but we're all winners here. ReggieDunlop sets our hero where he belongs. Norm De Plume sets Corso Duck into the surf at Omaha Beach. Some seriously disturbing face switching from JSDorn6. Mr Rodgers Neighborhood made a Randy Johnson gif for us. Mr Rodgers Neighborhood also made one that doesn't move. Where's Corso Duck? By Steven. Getting political? I like it, Keenanivory. Youlovecreed decides to work blue. Is this offensive? I'm not sure, BumbleBeeTuna. These photoshop contests are about the concept, not the degree of difficulty. Well done Ltmiles. It's only a matter of time, Mart4040. This seems horrifying, Rum Ham. 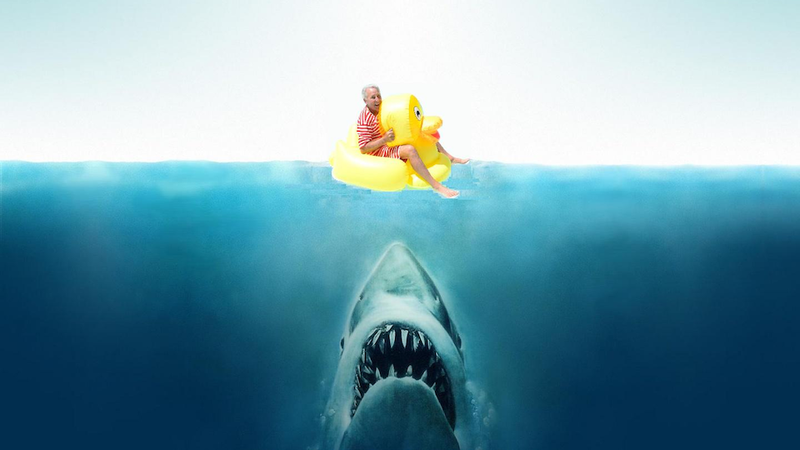 What if Michael Vick were white and riding a giant inflatable duckie? From Keenanivory, again. This is our runner up. Click the magnifying glass to enlarge. Congrats, Remerowski. You're our winner. Email us and we'll send you something.